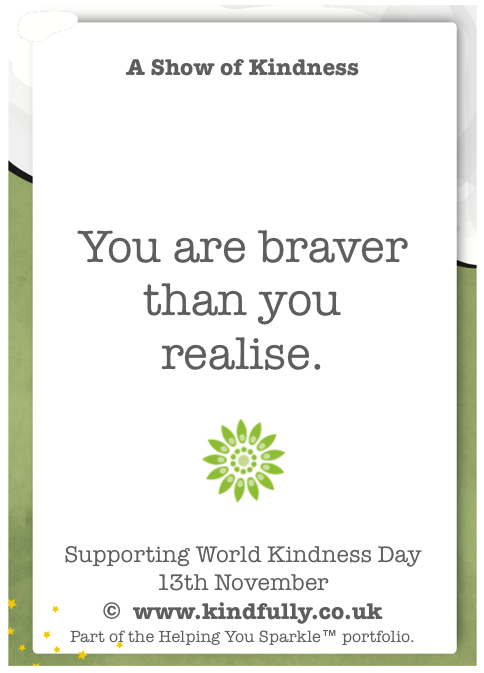 13th November is World Kindness Day, apparently inspired by the Small Kindness Movement which started in Japan. According to their website, its origin is due to an unfortunate incident. On a wintry morning in February 1963 in Tokyo, Mr Seiji Kaya, then the president of Tokyo University, was mugged for scolding a commuter who had jumped the queue. He was so saddened that other commuters did not help him at the time, he decided to create a campaign of kindness, starting with his students. 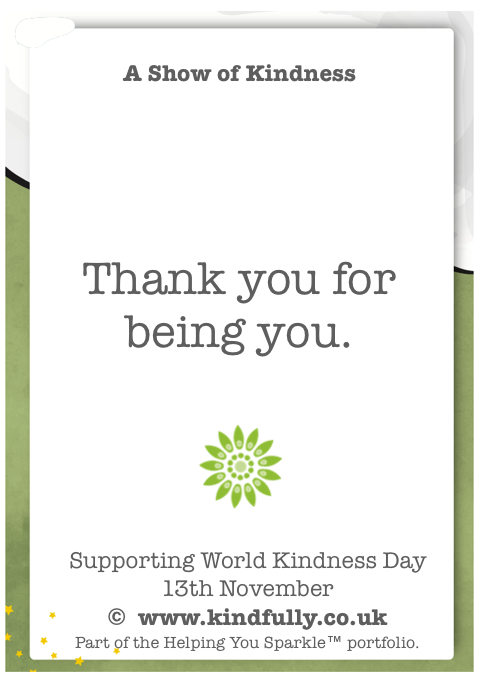 The idea of World Kindness Day today, as it was then, is that we can make the world a kinder place, one person at a time through a show of kindness. 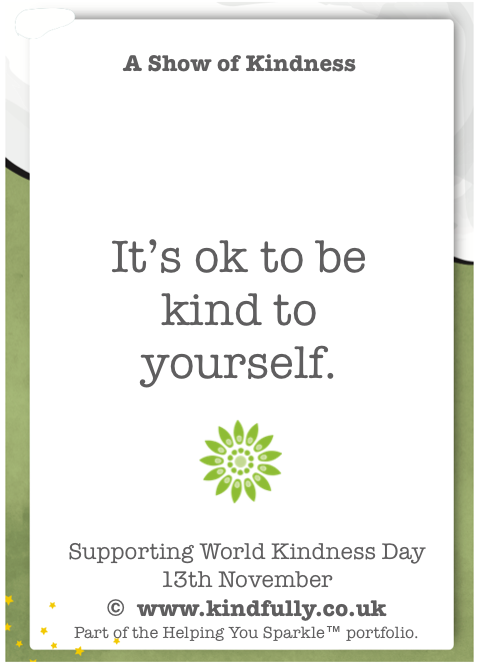 Part of the Kindfully mission is to encourage self-compassion – acts of kindness towards ourselves, not just other people. 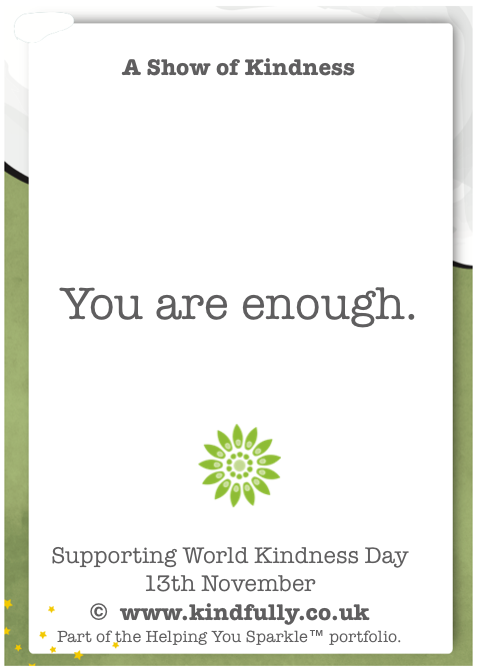 So, to mark the occasion, Kindfully is sharing these free ‘Show of Kindness’ Cards for you to print or download, to give out or keep. To view the four cards in A4 (ideal for printing) click here. To view the individual cards, click on the images below. You can also share your acts of kindness on the Kindfully Facebook, Twitter and Instagram pages. To receive free weekly Reflections, insights and top tips on Mindfulness and Compassionate Living, straight to your inbox and receive free access to the Kindfully Members Area, subscribe here.